Here's a portion of TV5's statement: "Like most contestants on the show, Jan-Jan, accompanied by his aunt, joined the program to showcase his talent and play in a game segment in the hope of bringing home big prizes. He has performed in the past in school programs and mall contests, and his performance in Willing Willie was completely voluntary and with the blessings of his parents." 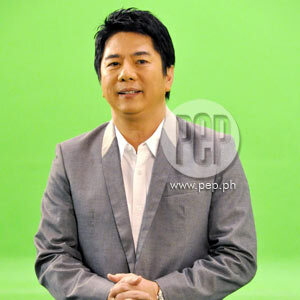 A supposedly entertaining number put Willie Revillame in the hot seat again. In Willing Willie's March 12 episode, he wasn't aware of what would transpire in the "Wiltime Bigtime" segment until the 10-year-old kid named Jan-Jan danced a la "macho dancer." The tag came from the controversial host himself. Everything was supposedly done in the spirit of fun. The studio audience was clapping and cheering. Willie aknowledged the boy's showmanship by saying, "Ang galing!" He also exclaimed jokingly, "Ganyan na ho ang hirap ng buhay ng tao. Jan-Jan, siyempre nagsasayaw siya bilang macho dancer sa edad niyang 'yan, para sa kanyang mahal na pamilya!" But a number of viewers found the portion tasteless. The Commission on Human Rights (CHR) even called it "child abuse." "This is an exploitation of the child's innocence and demeans his inherent dignity for entertainment's sake. The multiple pressures exerted on Jan-Jan by the TV program's host, audience, and his parents to perform a humiliating act in exchange for ten thousand pesos constitute child abuse as defined in Section 10 of R.A. No. 7610 or 'Special Protection of Children Against Abuse, Exploitation, and Discrimination Act.'" THE PULSE. The show's treatment of Jan-Jan's performance ignited a major brouhaha. MTRCB is set to hold a series of hearing that will "determine the guilt or innocence of the respondents in thisWilling Willie case." Three advertisers pulled out their brands from the show. Not much effect, however, on the ratings. Given this week's data from AGB Nielsen (People Ratings), the game show generated 6.9% on April 5, 8% on April 6, and 8.2% on April 7. But the management decided to suspend the airing of the show. In the poll posted last March 28, 76.10% of the PEPsters who participated chose, "Naiinis ako sa magulang at kay Willie Revillame." Meanwhile, 12.27% were "naaawa sa bata," and 11.63% believed "Wala akong nakitang mali." The parents can freely teach whatever they want to their kids. But not to the extent that the children's rights are compromised. Jan-Jan had done the "macho dancing" in school, his family said. But doing it on national TV is no laughing matter. And, as the survey said, host Willie Revillame's conduct was not entertaining at all.